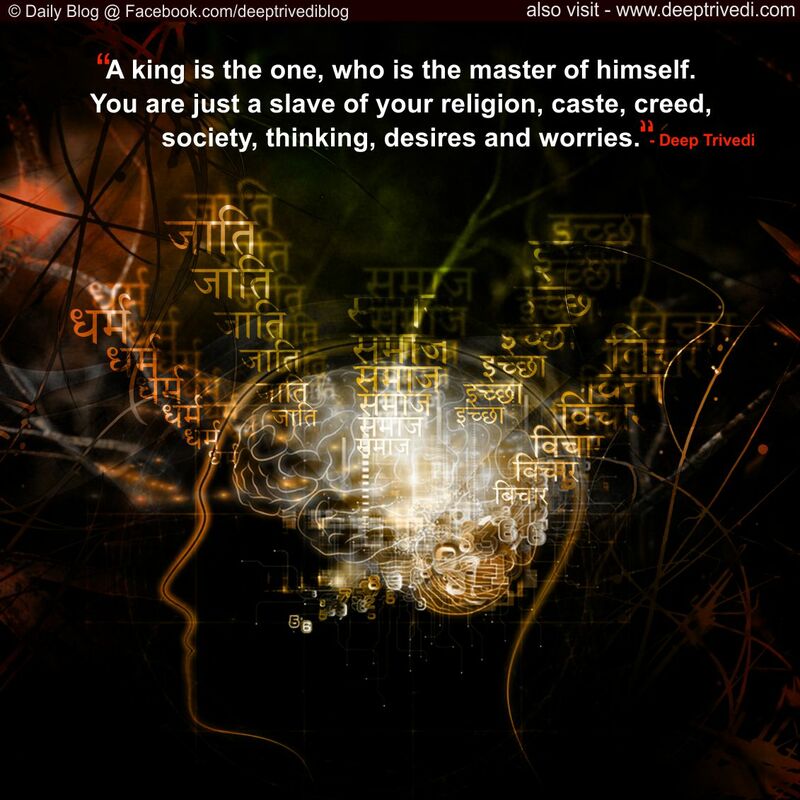 A king is the one, who is the master of himself. You are just a slave of your religion, caste, creed, society, thinking, desires and worries. Society divided us without realising our inherent harmony. It gave us nation, family, caste and creed. 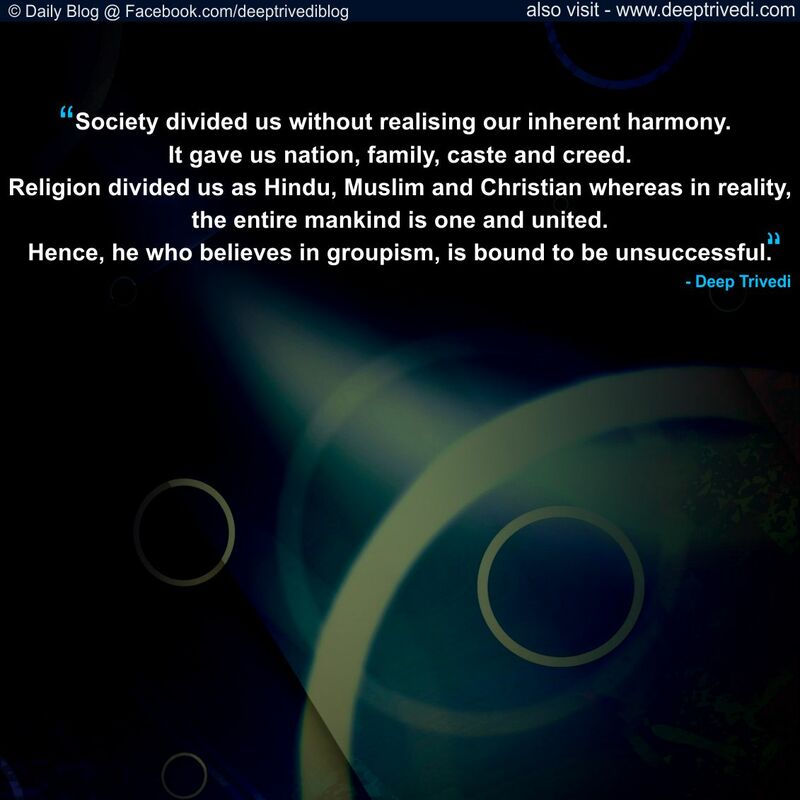 Religion divided us as Hindu, Muslim and Christian whereas in reality, the entire mankind is one and united. 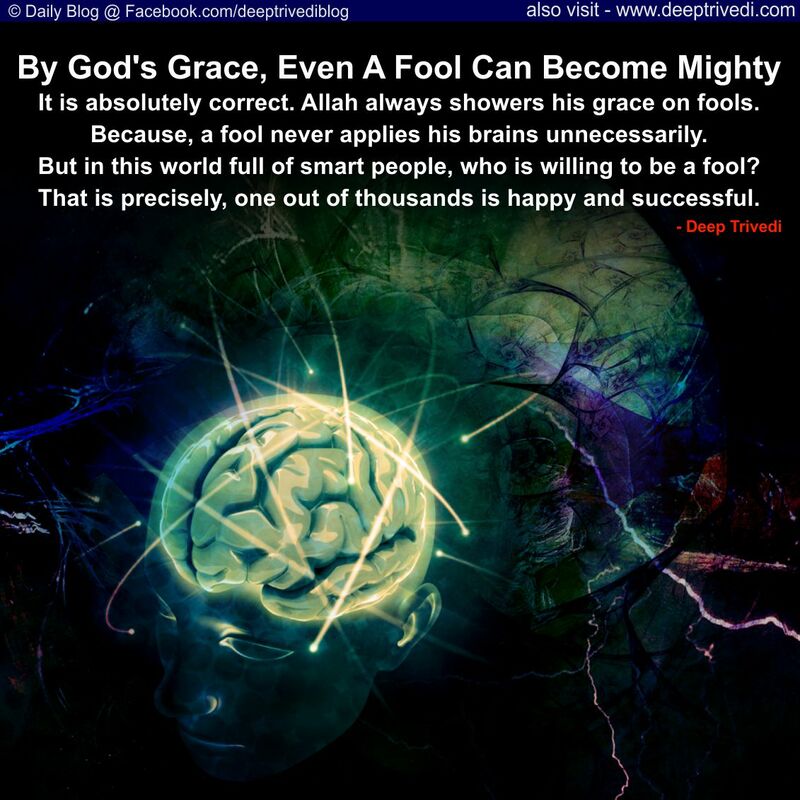 Hence, he who believes in groupism, is bound to be unsuccessful. life with ourselves. 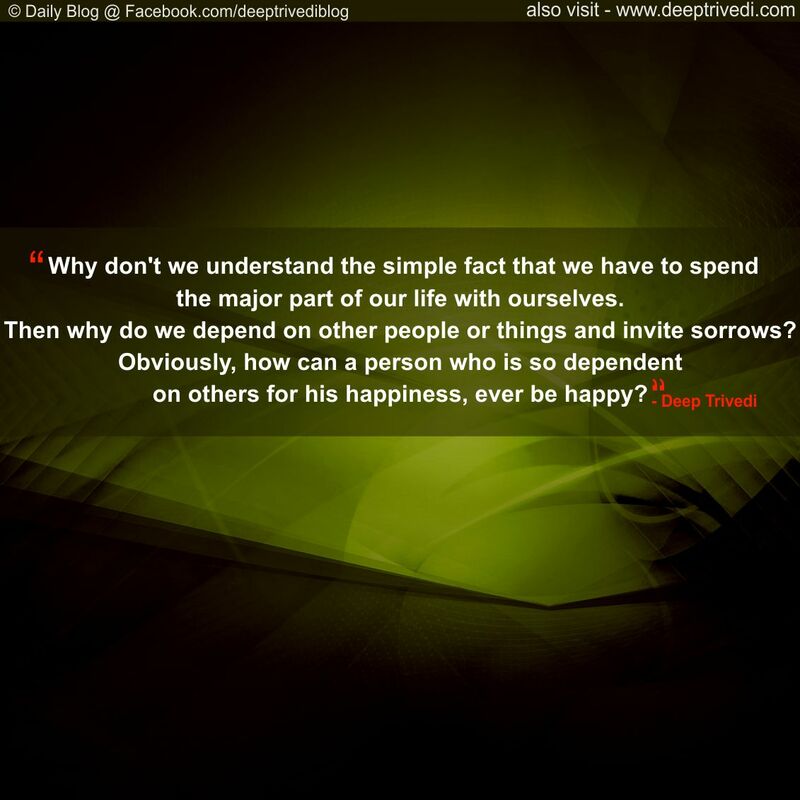 Then why do we depend on other people or things and invite sorrows? Obviously, how can a person who is so dependent on others for his happiness, ever be happy? 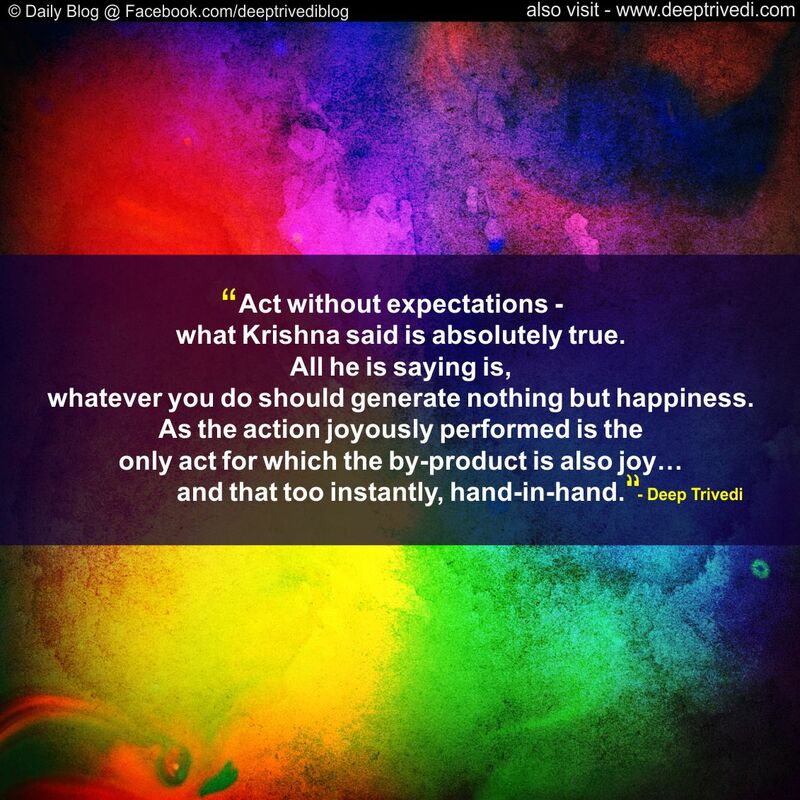 Act without expectations – what Krishna said is absolutely true. All he is saying is, whatever you do should generate nothing but happiness. As the action joyously performed is the only act for which the by-product is also joy…and that too instantly, hand-in-hand. 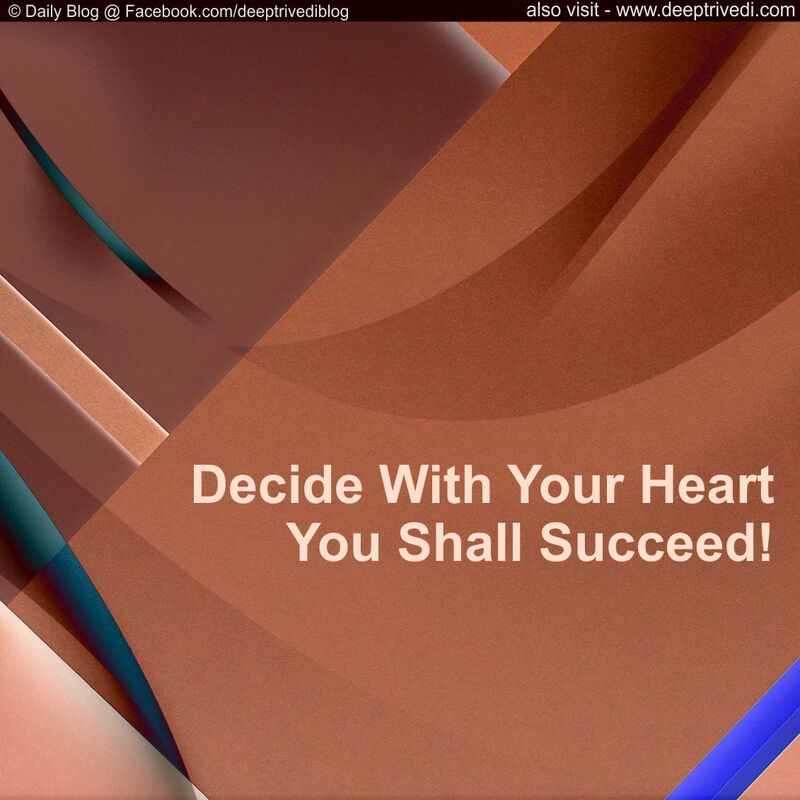 Decide With Your Heart You Shall Succeed! 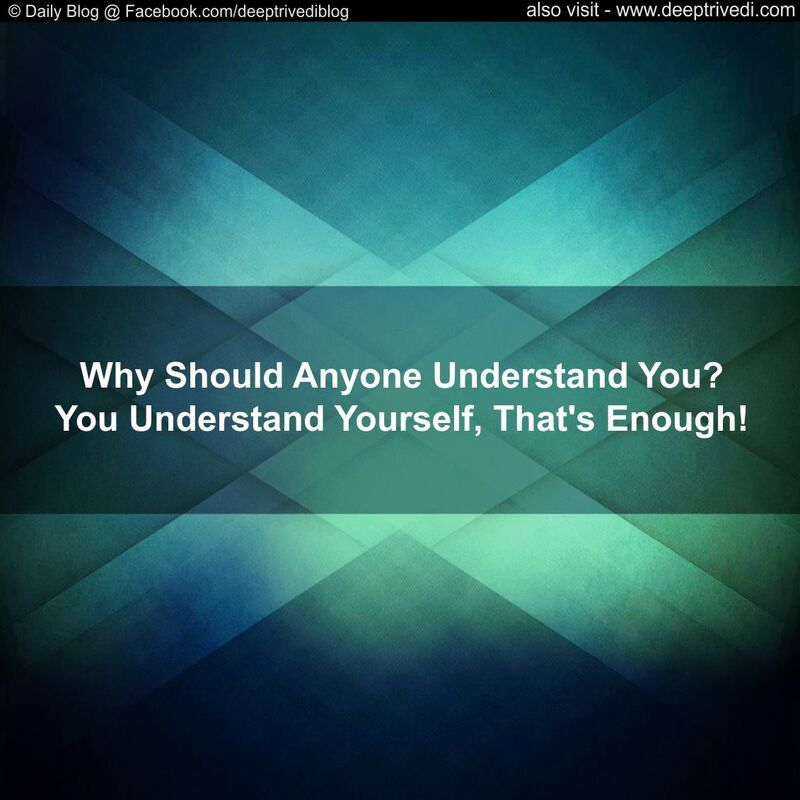 Why Should Anyone Understand You? You Understand Yourself, That’s Enough! If God is to be defined in one sentence, then ‘God’ is the elementary force prevailing with all its three dimensions…that is, law, energy and desire for evolution, in each and every atom of this existence. DeepTalks is now on Epic Channel!